Don’t let his pretty eyes fool you, this spaghetti monster is a straining master. 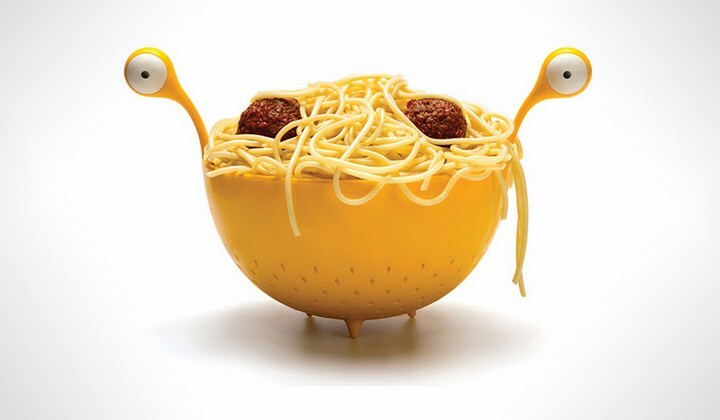 And if you’re planning a spaghetti dish, this noodly master will grant your wish! 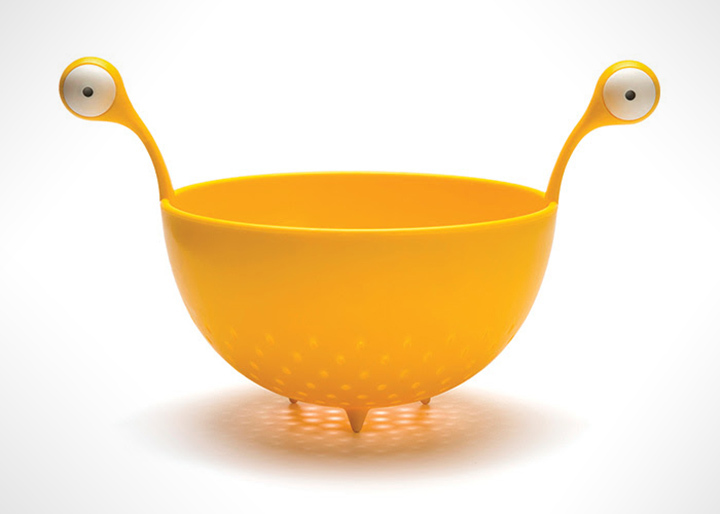 Designer Ototo has come up with a new whimsical strainer called the Spaghetti Monster Colander. 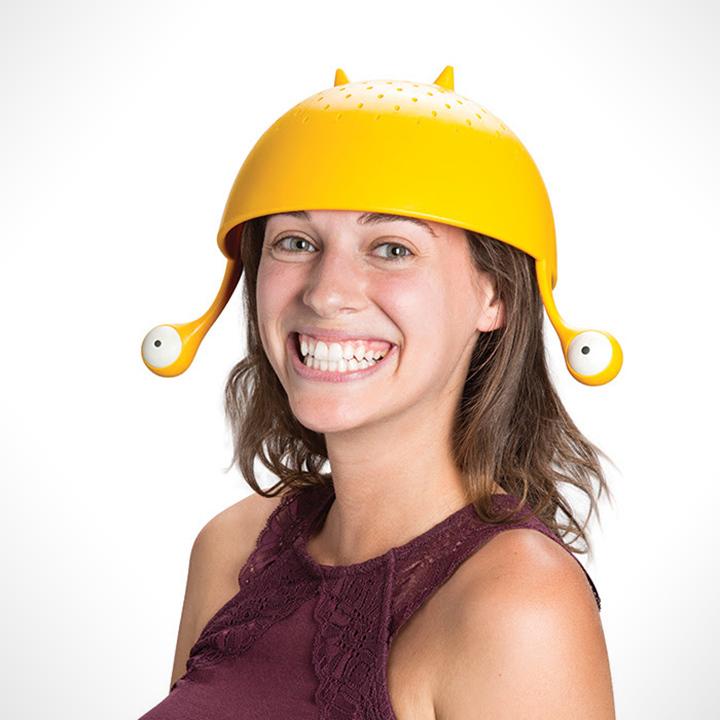 Designed to look like a yellow monster with two eyes sticking out of the bowl’s edge. This is one of those brilliant designs that just looks so obvious after someone makes it a reality. You can use its eyes as the traditional handle to hold the bowl. While you can simply dump your freshly boiled pasta once it's done. 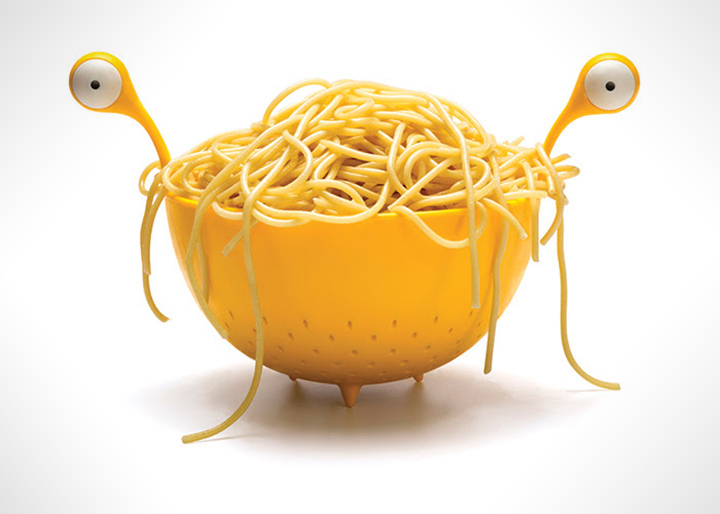 Like the traditional colanders, the spaghetti Monster colander will do his work. With small apertures at the bottom of the bowl to let the water out. The colander measures 7.5 x 12 x 8.5 inches, Designed to fit one box of spaghetti. Although spaghetti Monster colander is 100% food safe, Thou shalt not microwave his majesty!! This is a fun and unique replacement for your boring unattractive colander in the kitchen whether you are a believer or not. This fun utensil comes at a price of $20. And thanks to Animi Causa they ship worldwide.